As many people know, a large part of the area adjacent to Market Common and across the street from the Myrtle Beach State Park used to be the Air Force Base. For many years, the military families lived in a huge group of small homes along the base. The grounds were maintained and beautiful with endless grassy space much like a golf course. Horry-Georgetown Technical College is within walking distance as well. 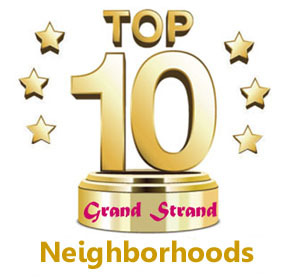 After the base was closed, the homes were eventually purchased and renovated into single-story "condos", representing some of the best value in a home in the Grand Strand. They represent the closest thing to a single family home you can find, many with carports, backyard decks, and huge yards - maintained by the HOA. The State Park offers a beautiful beach, endless trails, picnic areas, and a pier. Several parks within the Market Common district are within walking distance, as is a fitness center. The condos come in 1, 2, and 3 bedrooms, are spacious, bright, and clean. They're equipped with dishwashers, refrigerators, stoves, and washer-dryers. Some are furnished. Prices range from well under $100,000 to just under $200,000, depending on the size and upgrades. Owners have everything at their fingertips, with no maintenance and no worries. Everyone wants to live in the gorgeous market-common district, but few can afford to. This is your chance to have it all! 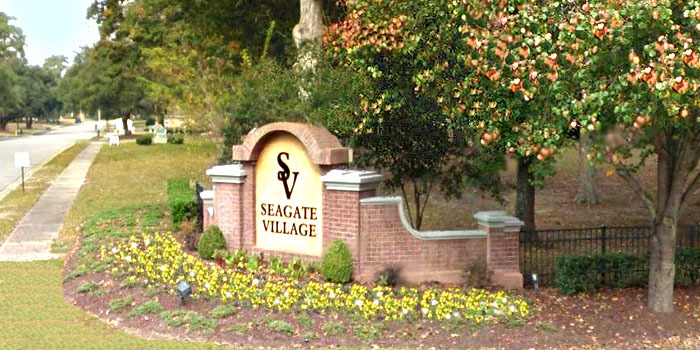 Call us for more information or to view the available condos for sale in Seagate Village!